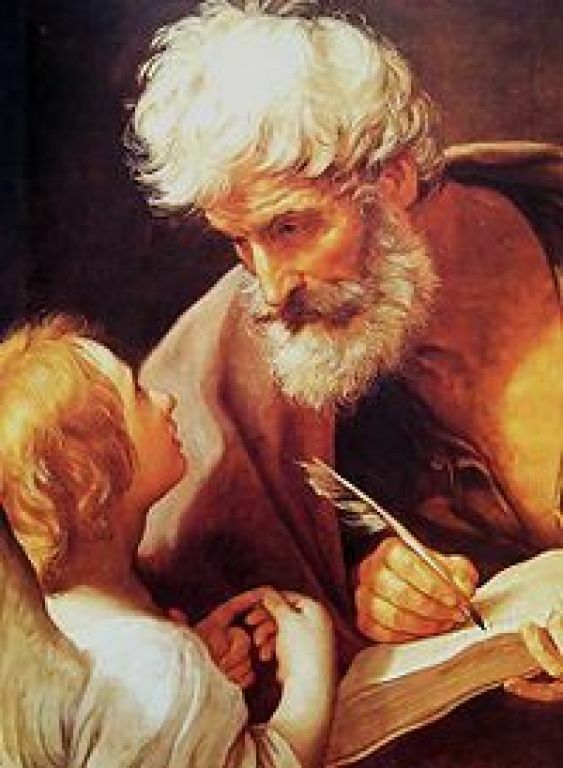 St. Matthew was one of the twelve Apostles and the traditional author of the first Gospel of the New Testament. The son of Alpheus, he was presumably born in Galilee. Matthew collected taxes from the Hebrew people for the ruler Herod Antipas, a position that while lucrative would have made him unpopular and an outcast among the Jewish people. Having this job would however, mean that Matthew was likely literate in Aramaic and Greek. Jesus called Matthew (also identified as Levi in the Gospels of Mark and Luke) from the customs post in Capernaum, near present day Almagor, where he was collecting taxes. His apostolic mission was at first restricted to Palestine and while little is known about his later life some traditions indicate that he travelled to Ethiopia, still others state that he was in Parthia and Persia. Matthew preached the Faith in Africa and was martyred in the year 65 in Ethiopia while offering Mass. 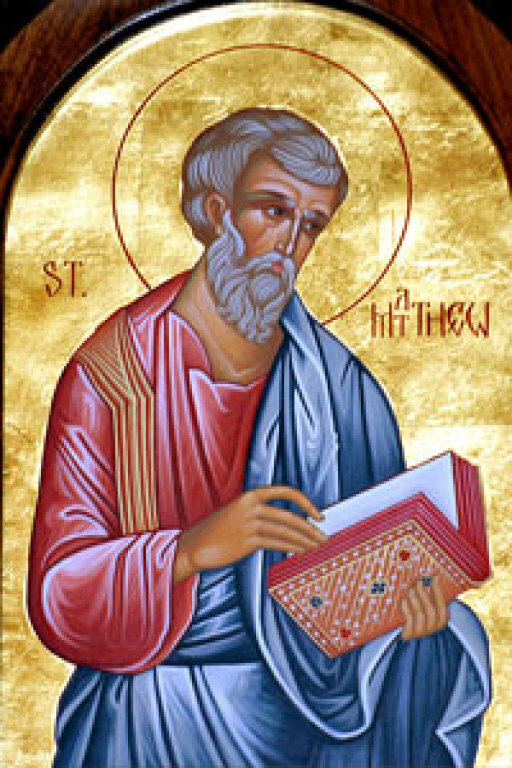 Matthew is, of course, attributed with authorship of the first gospel of the New Testament. Outside the New Testament, a passage from the Apostolic Father Hierapolis preserved by Bishop Eusebius of Caesarea states, "So then Matthew composed the Oracles in the Hebrew language, and each one interpreted them as he could." The Gospel According to Matthew was written for a Jewish-Christian community, most likely in greater Syria. Matthew presents Jewish custom without explaining it and he traces Jesus' lineage back to Abraham the father of the Jews rather than Adam as does Luke. The Gospel accounts describe the encounter between Jesus and Matthew under the surprising circumstances of Matthew's tax-collecting duties. Jewish publicans, who collected taxes on behalf of the Roman rulers of first-century Judea as mentioned previously, were objects of scorn and even hatred among their own communities, since they worked on behalf of the occupying power and often earned their living by collecting more than the state's due. Matthew's calling into Jesus' inner circle was a dramatic gesture of the Messiah's universal message and mission, causing some religious authorities of the Jewish community to wonder: “Why does your teacher eat with tax collectors and sinners?” Jesus' significant response indicated a central purpose of his ministry: “I did not come to call the righteous but sinners." 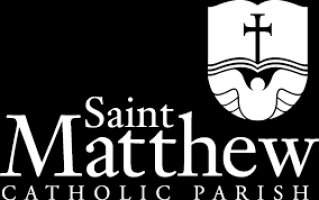 St. Matthew's Feast day is September 21.